Discussion in 'The Sports section' started by KUCIAR666, Sep 15, 2017. 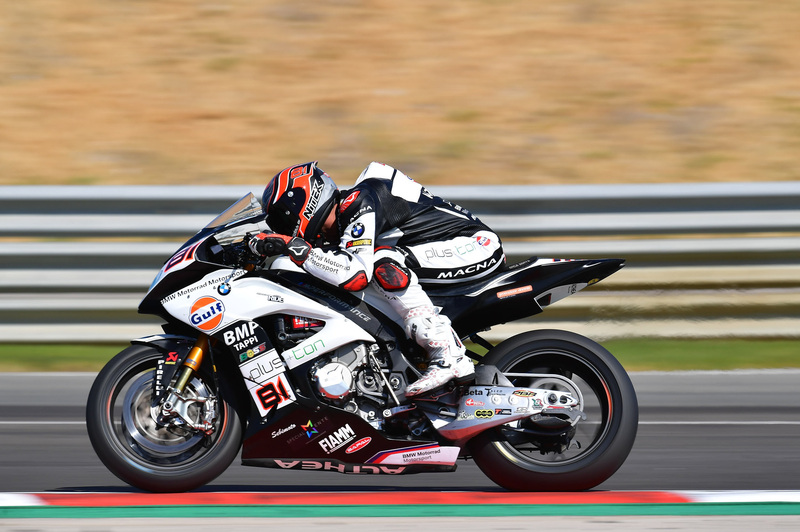 The Althea BMW Racing team returns to the track this weekend for round ten of the Superbike World Championship, which will take place at the Autódromo Internacional do Algarve close to Portimao, in Portugal. Three weeks ago, the Italian team was at the Lausitzring, where it scored mixed results with its SBK riders Jordi Torres and Raffaele De Rosa and Stock1000 rider Marco Faccani. All three riders are keen to do more at the stunning Portuguese track, characterised by its dramatic undulating layout. The Superbikes last visited Portimao in 2015, when Torres scored a best result of seventh in race 2. De Rosa reached the podium in the Stock1000, third, while Faccani, racing in Supersport at the time, finished twelfth. 2015 SBK RESULTS: Race 1 - 1. Rea (Kawasaki); 2. Sykes (Kawasaki); 3. Davies (Ducati). Race 2 – 1. Rea (Kawasaki), 2. Giugliano (Ducati); 3. Haslam (Aprilia). SBK RECORDS: Best lap – Sykes (Kawasaki) 1'42.475 (2013). Superpole – Sykes (Kawasaki); 1'41.360 (2013). It's our pleasure to welcome Takumi Takahashi to the team who is without a doubt a very talented rider with a wealth of experience on the Fireblade. He is showing great speed in the Japanese Superbike series and just missed a podium recently at the Suzuka 8-Hour race, so we are looking forward to working with him. Stefan will race for the first time in Portimão, although we have had some testing there earlier on in the season. We all know the track is one of the most challenging of the year, so hopefully both our riders will master it quickly. And get the best possible results. The Pata Yamaha Official WorldSBK Team of Alex Lowes and Michael van der Mark are ready to return to action for round ten of the 2017 FIM World Superbike Championship in Portimao after a month's break since the last race in Germany. Lowes is refreshed and wants to follow up his double top-six finish at the Lausitzring with another strong performance, while his teammate van der Mark is looking to impress after it was announced he will be Valentino Rossi's replacement for the Movistar Yamaha MotoGP Team at Aragon. Lowes finished in sixth and fifth respectively in Races 1 and 2 at the Lausitzring, showing good pace throughout the weekend on his Pata Yamaha R1. 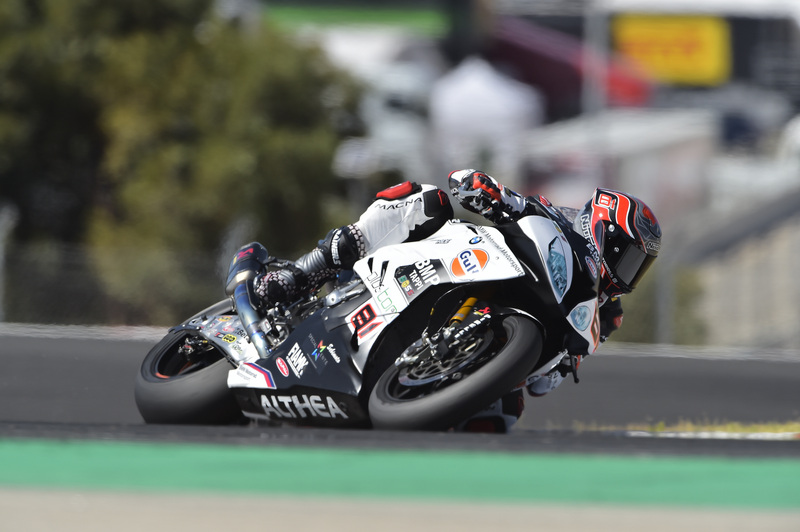 The 26-year-old British rider enjoys the challenging Portimao track and is keen to return to action after training hard since the last round at Germany. Lowes wants to develop the form that has seen him on the rostrum twice so far in 2017, as he looks to establish himself as a regular podium contender. He currently occupies fifth in the championship standings with 169 points. Van der Mark is excited to get back to action at one of the few tracks on the calendar he has previously ridden his Yamaha R1, following the team's pre-season Portimao test.. The 24-year-old Dutch rider secured some vital championship points last time out in Germany despite a challenging weekend and has been buoyed by the news that he will get a chance to ride Valentino Rossi's Yamaha M1 at the Gran Premio Movistar de Aragón on the 22nd-24th of September for the factory Movistar Yamaha MotoGP Team, as the nine-time World Champion recovers from injury. . Portimao is one of van der Mark's favourite tracks and he is fully focused on continuing the progress he has made during his first season with the Pata Yamaha team. He is currently seventh in the championship standings with 135 points, just 11 points behind the rider in sixth. 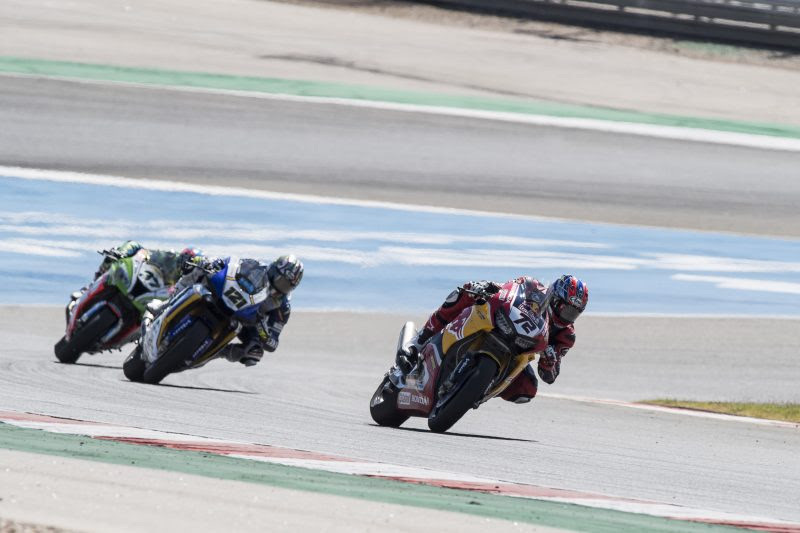 The Prosecco DOC Portuguese Round takes place at the iconic Autódromo Internacional do Algarve in Portimao, as the WorldSBK championship returns to the track after a year's absence. The circuit is located in the Algarve region in Southern Portugal and is known for its challenging layout, which includes a mix of fast sweeping turns and slower hairpins, incredible elevation changes, and an undulating 970m long start/finish straight. Opened in 2008, it held its first WorldSBK round that year and is 4,592m in length, with six left and eight right-handed corners. After the weekend, the team will stay on at Portimao on Monday for an official one-day test. The Pata Yamaha Official WorldSBK Team kick off the action on Friday with FP1 at 9.45am local time, with qualifying on Saturday starting at 11am, while Saturday's Race 1 and Sunday's Race 2 will both start at 3pm. "It seems like we have had a long time off since Germany but I've had a really good few weeks away from the track. I took a small holiday to the South of France and I have been working hard since I got back. I have been training as always with my guys in the gym, plus I managed to get a few days on the flat track bikes too - it's always important to be riding and flat track works well for me. I am looking forward to Portimao because it's a track that is really exciting and lots of fun to ride, it's a real thrill to make a fast lap. I am fully focused on improving mine and the team's results on the R1 before the end of the year and cannot wait to get back on track!" 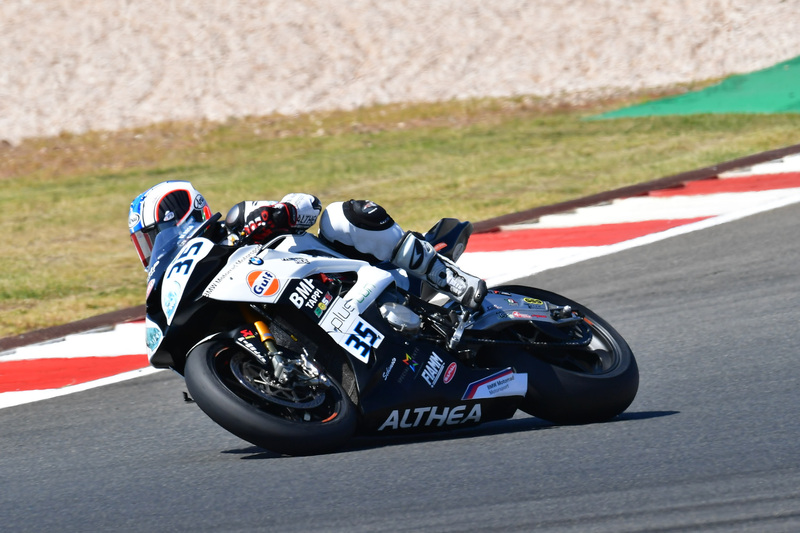 The Althea BMW Racing team is at the Autódromo Internacional do Algarve this weekend, the setting for round 10 of the 2017 Superbike world championship. After the first timed practice sessions, riders Jordi Torres and Raffaele De Rosa place eleventh and twelfth respectively, while in the Stock1000 series, Marco Faccani lies fourth after day one. In this morning’s first timed session, and in dry and sunny conditions, Torres and De Rosa got down to work with their technicians, working to identify the ideal set-up for their S1000 RR bikes. Improving throughout the course of the 60-minute session, the Spaniard finished in eleventh place (1’45.140), the Italian fifteenth (1’45.570). Later in the day, the Althea BMW men were back out for session two. Conditions meant that were able to improve on their earlier results with Torres setting a best of 1'44.170 to finish eleventh and De Rosa closing the day in twelfth place after setting a fastest time of 1'44.462. Meanwhile, in the Stock1000 camp, Faccani got off to a good start, placing sixth after first practice with a time of 1’46.867. The second session was interrupted by two red flags after a crash and engine failure for other riders but despite the distraction, the Althea BMW flagbearer was able to lower his time in the final seconds to close the day in fourth position with a best of 1’46.288. 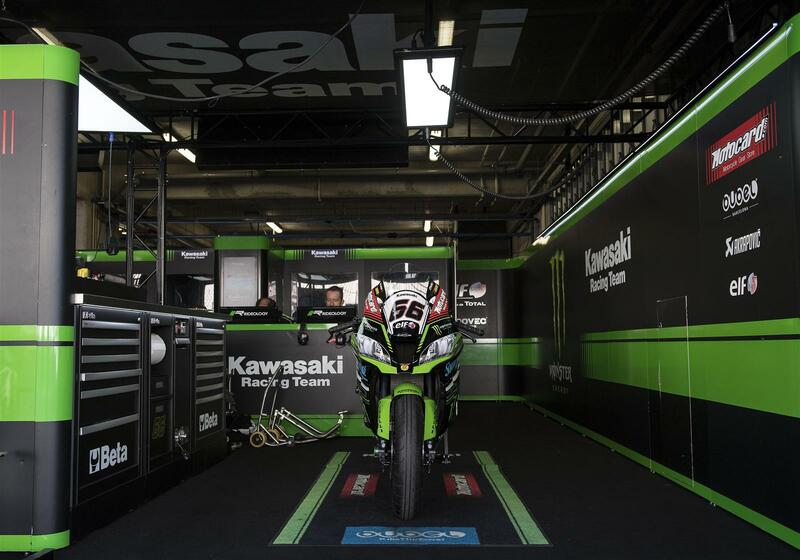 Official Kawasaki WorldSBK duo Jonathan Rea and Tom Sykes finished Friday’s free practice sessions first and fifth respectively in the rankings at a dry and windy Portimao circuit, located on the Algarve. On the bumpy 4.952km long track layout Rea had been fastest in the morning FP1 session and Sykes was second at that stage. Rea went on to improve his final Friday best time despite the increasingly high winds in FP2. He finished 0.586 seconds ahead of his nearest rival, Marco Melandri. In concentrating on finding an optimal set-up for Saturday’s race Sykes had to rely on his FP1 performance for his fastest lap and ended up fifth overall on the day. Both KRT riders have automatically qualified for Superpole 2 on Saturday, a final qualifying contest which determine their grid positions for the first 20-lap race of the weekend. Tom and Jonathan tested at Portimao earlier this season, with Rea finally using the settings he and his team found at that test. He also put in a long run today, to learn more about his Ninja ZX-10RR in simulated race conditions. Sykes and his crew concentrated on gathering information to be ready for the first race of the weekend, which is scheduled for 15.00 local time on Saturday 16th September. Before the first race gets underway, FP3 and then Superpole 2 will give Sykes and Rea the chance to refine their final machine settings. Should Sykes win the Superpole contest on Saturday, and take his career total from 42 to 43, it would make him the joint record holder in terms of all-time WorldSBK pole positions. The Red Bull Honda World Superbike Team has completed the opening day of action at the tenth round of the 2017 FIM Superbike World Championship, with Stefan Bradl rounding out the top-10 at the end of the two free practice sessions at Portimão and therefore qualifying directly for Superpole 2. His team mate for the Portuguese event, Takumi Takahashi, finished his debut WorldSBK day in 18th place. Bradl got off to a good start this morning by setting the ninth fastest time of Free Practice 1. The 27-year-old German rider worked hard with his crew on finding the best set-up for his Honda CBR1000RR Fireblade SP2 and was able to improve his performance on every outing. In the final minutes of FP2, Stefan moved back into the top-10 after breaking the 1’44secs barrier to log a final 1’43.957secs lap-time, which was enough for him to clinch a well deserved tenth place. Takumi Takahashi had a lot of work to do in his first-ever day in World Superbike: not only the Japanese rider had to find his way around the challenging 4.592 Km Algarve track, but he also had to get to grips with the WorldSBK-spec version of the Fireblade and the Pirelli tyres, which he never used before. The Japanese made a significant improvement in the afternoon and he is now looking forward to more track-time tomorrow, starting from FP3 at 9:05 local time (GMT +1) and then moving on to Superpole 1 (11:00) and Race 1 (15:00). It’s been a good day! It’s nice to be in the top-10 and therefore in Superpole 2. I’m happy with how the day went, because we consistently improved the bike in both sessions and in between as well. We are working in the right direction and to be lapping in the 1’43s is not too bad. Now we need to build up on what has been a positive day, have a good qualifying session and see how the rest of the weekend goes. Portimão is a great track but definitely not an easy one to learn! I still have to find the right line around it and it’s not easy when you’re not on the same bike you’re used to and especially with different tyres. So I’m planning to keep lapping as much as I can and once I get the right feeling with it, we will start playing more around the bike set-up. Tomorrow is race day already so the aim is to be as ready as I can for it. We had quite a positive and productive day with Stefan. Right from the first outing we were around our target for the weekend in terms of positioning and we also managed to qualify straight into Superpole 2 which is good news. It’s been a good effort by the whole team so thanks to them. I think there’s still room for improvement and the gap from second place is not too big. The guys will now have a look at the data to come up with a plan for tomorrow and hopefully we’ll be back in the positions we should be in. Takumi-san had a lot of work to do, but we already knew that. Learning the track is the biggest task for him, but let’s not forget the bike is different to the one he’s used to riding and the same applies to the tyres, too. He’s been chipping away at every session and the goal is to keep improving with no pressure. The Pata Yamaha Official WorldSBK Team enjoyed an encouraging start to round ten of the 2017 FIM Superbike World Championship on Friday despite tricky conditions due to high winds and a bumpy track at Portimao. Alex Lowes ended the day in seventh on the combined timesheets after showing good improvement in both sessions. 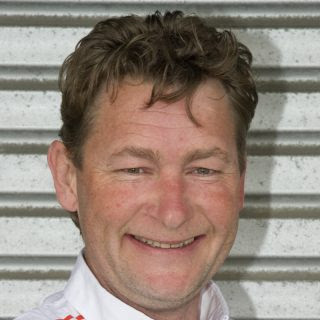 His teammate Michael van der Mark also made good progress throughout the day to finish in ninth place, with both riders making it directly through to SP2 on Saturday. Lowes, who celebrated his 27th birthday on Thursday, wasted no time in getting down to business on Friday morning in FP1 as he set the fifth fastest time of the session with a 1:43.995. The wind picked up in the afternoon and made it tricky for the riders in FP2 but Lowes still managed to knock another three-tenths off his time, setting a 1:43.677 to end the day seventh on the combined timesheets, and confident he can make more progress on Saturday. Van der Mark eased his way into FP1, building his feeling on his R1 around the bumpy and undulating 4.592 Autódromo Internacional do Algarve in the windy conditions. He finished FP1 in seventh-place after setting a 1:44.452, but there was more to come in the afternoon. The 24-year-old Dutch rider made a breakthrough in his setup towards the end of FP2 to improve dramatically to a 1:43.854, just 0.177s behind his teammate Lowes, and finished the day in ninth overall, happy with the progress made. "To be honest, we are struggling a bit to find the right setup for the track and the best balance with my R1. I need to improve my feeling with the bike, so we have a lot of work to do tonight to try and find a slightly better direction. It has been one of the more difficult Fridays we have had, but it is always like that at this track, especially after a few weeks off the bike. Hopefully, we can make a big step for tomorrow morning!" "P9 looks worse than it is, especially because this afternoon I struggled with changing direction on the bike but towards the end, we made a good step and I managed to improve my lap time quite a lot. We just need to find a little bit more pace and to improve the grip with the rear, if we can do this we are able to do quite a good and consistent pace. I am happy to be in SP2 again and I think we can be reasonably satisfied with today, but looking for more tomorrow." "It's great to be back at Portimao, one of the most exciting circuits in the world. It looks a little bumpier than we were here last and that combined with the very, very strong winds this afternoon made for difficult conditions to find the best balance with the YZF-R1. There is more performance to come from the bike and the riders -. we need to make the bike a little easier to ride in certain sections of the track, in order to build the rider's confidence and allow them to flow and improve their pace and consistency. We have 25 minutes on Saturday morning to evaluate the solutions the team engineers come up with this evening and we will do our best to make absolute positive use of that time and then qualify the bikes as well as possible. A small step forward in performance will see us in the hunt for good positions tomorrow." 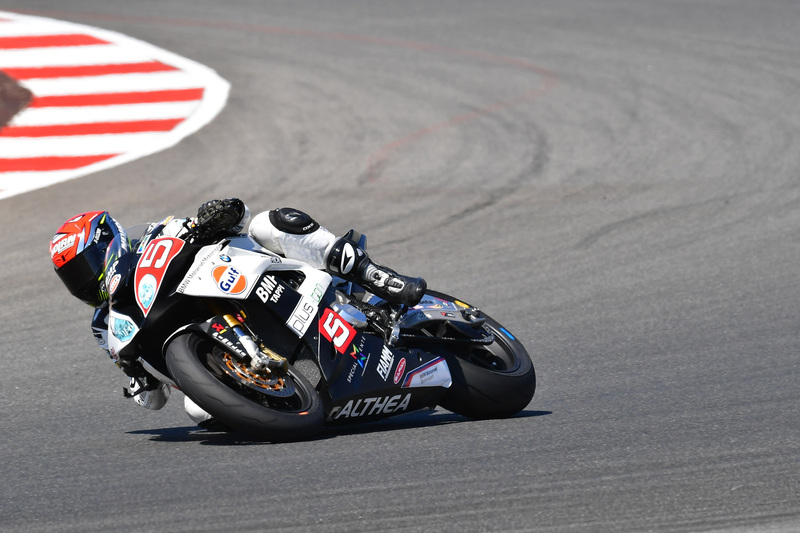 The Autódromo Internacional do Algarve played host to race 1 of the tenth round of the Superbike world championship this afternoon, a race in which the Althea BMW Racing team closed in a positive sixth place with Jordi Torres and eleventh with Raffaele De Rosa. Superpole 1: both Torres and De Rosa participated in SP1. After having completed a series of fast laps, Jordi moved into first place in the final seconds, setting an impressive best time of 1’43.191 and thus gaining access to SP2. Raffaele set a fastest lap time of 1’43.918, closing fourth as a result, which translated into fourteenth position on the race 1 grid. Superpole 2: Jordi immediately placed third in this second phase. Able to further improve on his time in the final minutes, and with a best of 1’42.586, the Spaniard concluded in sixth position, so a place on the second row for him in race one. SBK - Race 1: Jordi lost several positions as he set out from sixth on the grid, lying eleventh after one lap. Earning one place early on, the Spaniard then caught and passed Forés on lap six and Savadori on lap eight. Placing seventh by mid-race, the Althea BMW man continued to fight, managing to chase down Laverty and pass him on lap sixteen. Thanks to Torres’ determination and constant pace, he crossed the line in sixth place today, a positive outcome at what the rider considers a tough track. Raffaele lost a few places at the start when he made contact with another rider and then made a small mistake. The Italian then battled to catch up from fifteenth place, clawing back three places in the central phase of the race. Lying twelfth on lap thirteen, De Rosa made up one more position in the final laps to cross the line eleventh. “We were really strong in SP1 and then set some great times in SP2 as well, which meant we could start the race in sixth position. Unfortunately, despite the grid position, we lost ground at the start, as we often do, due to electronic issues. This penalises us and then I’m left with a lot of work just to make up the ground we lost off the line. After a few laps, I got into a good rhythm though, passing several riders though I’d have liked to catch van der Mark and Camier too, not possible today unfortunately. Tomorrow I hope to do better..."
The opening race at the Portuguese Round of the 2017 FIM Superbike World Championship has been contested today at Portimão’s Autodromo do Algarve, with Stefan Bradl forced to an early retirement after crashing out of eighth place on lap three. 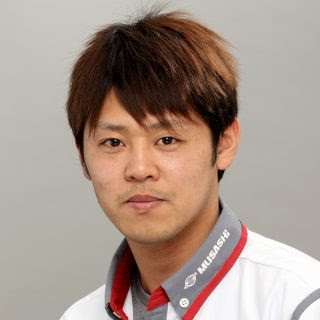 His Red Bull Honda World Superbike team mate for the round, Takumi Takahashi, crossed the line in 15th position and by doing so he earned his first World Superbike point. After successfully taking part in Superpole 2 and then qualifying in eighth place on the grid for the 20-lap race, Stefan Bradl got a great launch off row three and by the end of the opening lap he was already up to sixth position. The German rider then lost one place after running wide at turn 1 and, as the third lap was drawing to a close, he had a highside at turn 14: due to the damage sustained by the bike during the crash, he was unable to re-join the encounter. Takumi Takahashi started his maiden World Superbike race from 19th place on the grid and, after maintaining his position at the start, he found his own rhythm as he continued to make experience with the WorldSBK-spec version of the Honda CBR1000RR Fireblade SP2 and Pirelli tyres around the 4.592km track located in the southwestern edge of mainland Europe. Unfortunately, this crash actually happened in the race: I was a good position and feeling comfortable on the bike, but maybe I pushed a bit too hard at turn 14 because the bike slipped away a little bit and I was thrown over the handlebar. A pity for the result really, but luckily we have another chance tomorrow: I got checked by the medical centre and I’m good to go, I feel OK and ready to give it another try. We need to keep the positives from today because I think we can have a good race and finish the weekend on a high note. It was a difficult race because at the beginning I was struggling a bit with the front and could not get up to speed. Because of this, I was unable to stay with the riders in front of me, meaning I rode on my own for the most part of the race. In the end we were a bit lucky to get one point, but the goal for tomorrow is to stay with those riders, make more experience and to actually earn that point. The start of Stefan’s race was really good and we were all enjoying seeing him up there where we all think he can be. Surely it was a pity for the crash but thankfully enough he wasn’t hurt, so he’s ready to race again tomorrow. Takahashi was able to collect his first-ever World Championship point today: it hasn’t been an easy weekend so far for him - it’s a steep learning curve - but he is making more and more experience, which is the most important thing. He was able to set the same lap-time both at the beginning and at the end of the race, which means that there has been an improvement. Hopefully tomorrow he will be able to get in a mix and battle with the other riders. KRT rider and WorldSBK championship leader Jonathan Rea secured a high quality Portimao win from pole position in the opening race and in doing so took his total of 2017 season race victories to 10. His team-mate Tom Sykes was unable to start the race after suffering a left little finger injury in FP3 this morning. Such was Rea’s early pace from pole that he was over two seconds faster than the rest after just one lap of the 4.592km circuit, and he eased out his lead to win by over six seconds. His best lap was a 1’42.937 set on lap two, with no other rider getting into the 1’42 bracket at the bumpy and undulating Portuguese track. Rea’s pace was particularly impressive as his favoured rear tyre option was withdrawn from the allocation for race use today, with Rea and his crew having done most of their set-up work with it to this point. The 20-lap race started without KRT rider Tom Sykes, who had a big crash in FP3 this morning and fracturing and dislocating bones on his left little finger. He was declared unfit to ride by medical staff and he has to sit out any further action at Portimao. Tom will go to Barcelona tomorrow for more checks and probably surgery to try to make sure he is fit to race at the next round at Magny Cours in France at the end of this month. Jonathan’s latest win not only made it 10 for the season but 48 for his career. He has now scored 33 of those wins for Kawasaki, the same total of race victories for Kawasaki as Tom. One more 20-lap race is scheduled for 15.00 at Portimao, on Sunday 17th September. It was a day of highs and lows for the Pata Yamaha Official WorldSBK Team in Portimao on Saturday for round ten of the 2017 FIM Superbike World Championship. Michael van der Markshowed his class after a tricky first lap to charge his way through the field and battle his way to a fifth-place finish. His teammate Alex Lowes was fighting in the top six and chasing the podium when a small mistake saw him crash at Turn 5, the British rider remounting to finish in 18th place and collect vital data for Race 2 on Sunday. 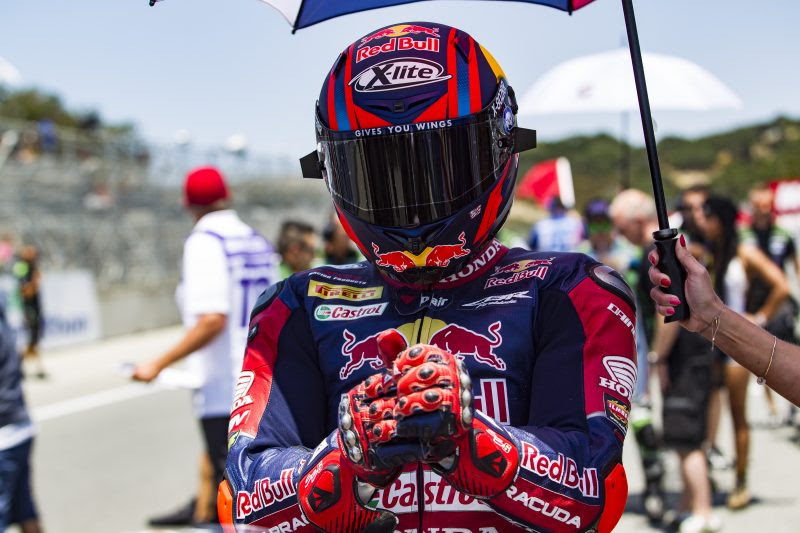 The Red Bull Honda World Superbike Team has secured a top-10 finish today at Portimão’s Autodromo do Algarve courtesy of Takumi Takahashi, who wraps up his World Superbike debut in style after scoring his first World Championship point in race one yesterday. 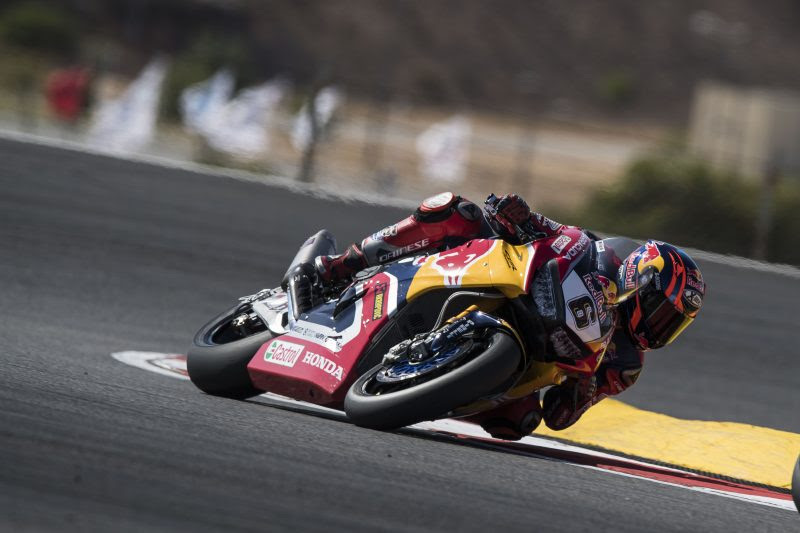 Full-time rider Stefan Bradl was unable to line up on the grid today due to a painful right wrist. Takahashi enjoyed a good start from 18th place on the grid and immediately settled into a good rhythm, which allowed him to gain some positions. As the encounter reached its halfway point, the Japanese rider was promoted to 11th place. He then brilliantly maintained his position by getting some margin over the following riders. In the final stages of the encounter, Takumi made his way into the top-10, which he held onto up to the chequered flag. 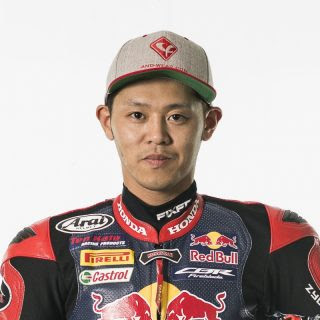 Takahashi now leaves Portimão with a tally of six points and a lot more experience ahead of his track WorldSBK return, scheduled at Jerez in a little more than a month’s time. 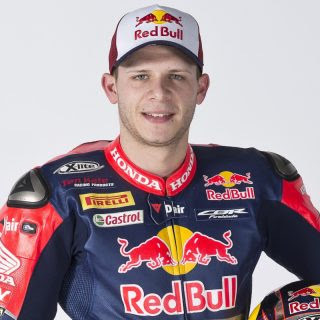 After yesterday’s highside at turn 14 during race 1 – which had apparently left the German uninjured – Stefan Bradl endured severe pain in his right wrist overnight. The 27-year-old German rider tried to get on track this morning on board his Honda CBR1000RR Fireblade SP2 for warm up in order to test his condition, but after a quick-lap attempt the pain became too strong for him to use the throttle accordingly, so he had to make his way back to the pits. He then returned to the Medical Centre, where he was declared unfit to race due a right-wrist functional impairment. Stefan will return home to undergo an MRI scan to investigate possible micro damage in his wrist, which x-ray scans did not reveal between yesterday and this morning. 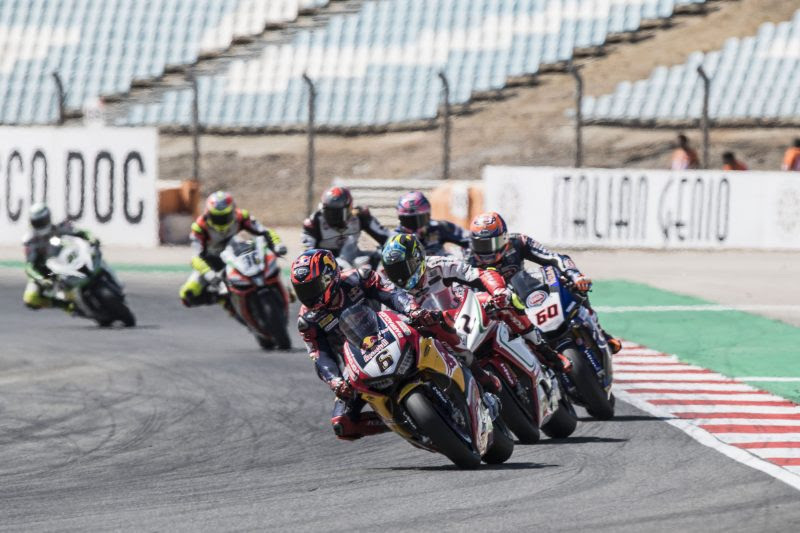 The Red Bull Honda World Superbike Team will stop at Portimão for a day of official testing tomorrow, before returning to its home base in the Netherlands to start the preparations for the French Round, which takes place at Magny-Cours in a fortnight’s time. Today we made some improvements with the set-up on the bike and, although I had the same kind of issue to get up to speed in the early stages, in the last part of the race I found myself in a position trying to bridge the gap with Badovini for ninth place before the chequered flag. We managed to finish in the top-10 with a bit of luck today and we garnered more experience, so I am now looking forward to Jerez, a track I know already, in order to push for more. Unfortunately, yesterday’s crash led to some problems with my wrist. We did an x-ray yesterday and it showed no fracture or damage, but during the night the situation got a bit worse because I was really in lots of pain. I tried this morning during warm up with the help of Clinica Mobile – who I want to thank for the help – but I noticed almost immediately that I didn’t have the full control of the bike. I wasn’t fast because I was not in a condition to push, so I went back to the Clinica and the doctor suggested an MRI scan back home in order to search for any possible tiny crack or ligament damage that would explain the pain. Another very unlucky weekend for us, especially because we showed signs of improvement and things were looking better. But we can take these positives into the next race at Magny-Cours and I really hope I will be fully fit for then. This morning during warm up we found out that Stefan’s problem was worse than we had feared. He tried to ride but he was in pain and had limited movement in the wrist, and therefore was declared unfit to ride. It’s a shame because he was looking good this weekend and we could have used another try for a good result. Takumi improved his performance from yesterday and a top-10 result is really good, considering it was his maiden weekend in the series. I’m sure things will be easier for him at Jerez, with the experience he’s made this weekend and his previous knowledge of the track. 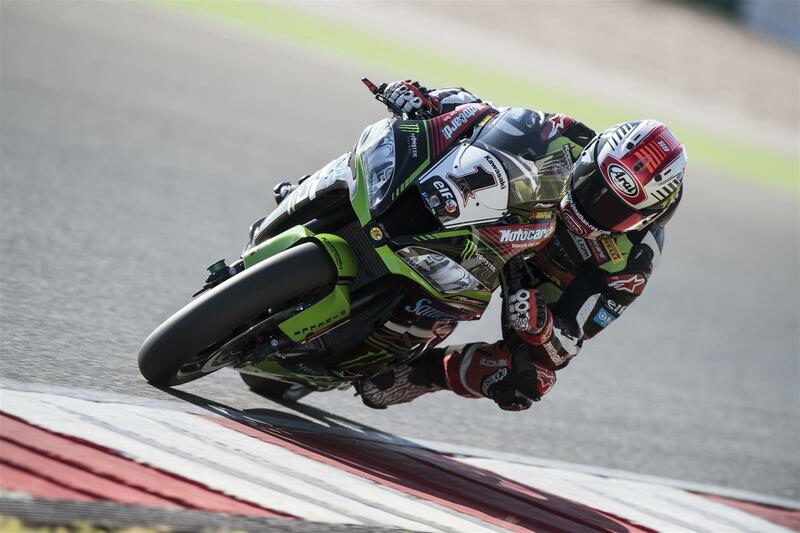 Jonathan Rea (KRT) completed a confident double win performance at Portimao in the FIM Superbike World Championship, despite starting today’s 20-lap race from ninth place - under the reverse grid rules that come into play for race two this year. Jonathan now has 11 wins for the season and he extended his championship lead to 120 points with another full points score today. Jonathan was the lone KRT rider today as his team-mate Tom Sykes was in Barcelona undergoing surgery to repair left hand injuries suffered in a big crash in FP3 on Saturday morning. Three rounds of the championship remain, the first of them at Magny Cours in France, between 29th September and 1st October. The 2013 Superbike World Champion underwent successful surgery following a fracture sustained in his little finger following his free practice crash in Portugal at the Portimao circuit. The operation took place on Sunday 17th September at the iMove Traumatology department of the Clínica Mi Tres Torres in Barcelona, with a quick recovery expected. Pata Yamaha Official WorldSBK Team's Michael van der Mark stormed to his first podium for Yamaha in sensational fashion at Portimao on Sunday, round ten of the 2017 Superbike World Championship. The Dutch rider started on the front row and put in a super performance to bring his Yamaha R1 home in second place, moving up to sixth in the championship standings in the process. His teammate Alex Lowes was charging his way through the field after starting from tenth on the grid but suffered a highside on lap 8 that left him very battered and bruised, but miraculously he escaped any serious injuries. All eyes were on van der Mark after his call-up to fill in for the injured Valentino Rossi in the Movistar Yamaha MotoGP team at the Aragon GP next weekend and he put on a superb display of riding in Sunday's Race 2 to secure his best result yet for the Pata Yamaha team. Starting from the middle of the front row, the 24-year-old did not quite have the grip levels to push to the maximum during the first few laps and dropped down to fifth, but then settled into a good rhythm and started to close the gap to the riders in front. On lap 4 he passed Leon Camier to move into fourth and set his sights next on Eugene Laverty in third. Showing incredible consistency in his lap times while others started to struggle, the former World Supersport Champion hunted down Laverty by lap 11, making his move and immediately opening up a gap. As the race continued to progress he was matching the pace of Chaz Davies ahead of him before, with 3 laps remaining, Davies crashed out and van der Mark was promoted to second. Continuing to ride hard right until the end after having been denied a previous podium in Misano in the dying stages of a race through no fault of his own, he crossed the line in second place to the delight of his team and fans to collect 20 championship points. This saw him move up to sixth in the championship standings with 166 points, just three points behind his teammate Lowes. Lowes lined up at the front of the fourth row on the grid for Sunday's Race 2 and when the lights went out he made a good start. A few laps later and he was up into eighth and became involved in an excellent battle with Marco Melandri, Lorenzo Savadori, and Jordi Torres - with Lowes setting lap times that would have seen him battling for the podium - before a huge highside on lap 8 at Turn 13 ended his race. Unbelievably, Lowes walked away battered and bruised but with no serious injuries and the 27-year-old British rider is determined to bounce back at the next round in Magny Cours. After this result, Lowes currently sits fifth in the championship standings with 169 points and will head to France taking the positives from a challenging weekend. The Pata Yamaha Official WorldSBK Team will remain in Portimao on Monday for the official one-day test, before heading to Magny-Cours for round eleven of the 2017 FIM Superbike World Championship on the 29th September - 1st October. Check out the Race 2 results. "It's amazing to finish on the podium after so much bad luck this year! We have struggled sometimes with the setup of the bike and have been close to the podium a couple of times only to miss out. It wasn't really easy, but I knew I had quite a good pace and starting from P2 helped me a lot. At the start of the race I was lacking a bit of grip, so I couldn't follow the front guys for the first couple of laps, but then I found my pace. It was a really difficult race but I was stronger than the guys behind me. I got a bit lucky that Chaz Davies crashed out but I am so happy to have got my first podium with Yamaha. We have worked so hard all year and I am so glad to finally reward my team and Yamaha with a podium. When you finally take a podium, you get the self-belief because you know you can do it. Everything came together today and it is always good to be standing on the podium and now I want to enjoy this feeling at every race. We found a really good base setup that seems to work everywhere, so we will start with the same bike in Magny-Cours after tomorrow's test, where we only need to adjust some small things with the bike and I am looking forward to the next race! " "Obviously, I am really disappointed with the Race 2 crash. It didn't feel like I had done an awful lot wrong but the rear skipped round on me and resulted in quite a big crash. It is even more disappointing as after a busy start to the race from the fourth row I was starting to feel comfortable and was closing quickly on the group in front of me, but unfortunately, in the end instead of two really solid results we have scored no points this weekend. I am feeling very bashed around right now, but more than that is the disappointment. I am determined to bounce back from this and as a team make sure we learn what we can so that we can move forward to Magny-Cours with a positive attitude." "Everybody in the Pata Yamaha WorldSBK project is so pleased for Michael that he has achieved his first podium for the team. He showed very strong consistency yesterday and with the help of his crew took another small step forward in his R1's performance today and his efforts have been rewarded with a great result. We had a little bit of positive luck to have finished in second rather than third after Davies' crash, but the podium position before that was solely on merit and Michael and the team should be proud of their performance. Alex, at one of his favourite tracks, has had such a disappointing weekend in terms of results and was fortunate to escape serious injury in a very nasty looking highside today. These things happen in racing but it was really such a shame as Alex had just found his rhythm and settled into much better lap times than the podium challenging group and was closing rapidly to join the fight with Michael. We could have quite possibly had two Pata Yamaha R1s on the podium today but we will count our blessings that we achieved a great result with Michael and that Alex has escaped relatively unscathed and is able to resume the fight for the best possible championship finish at the next round in Magny-Cours."